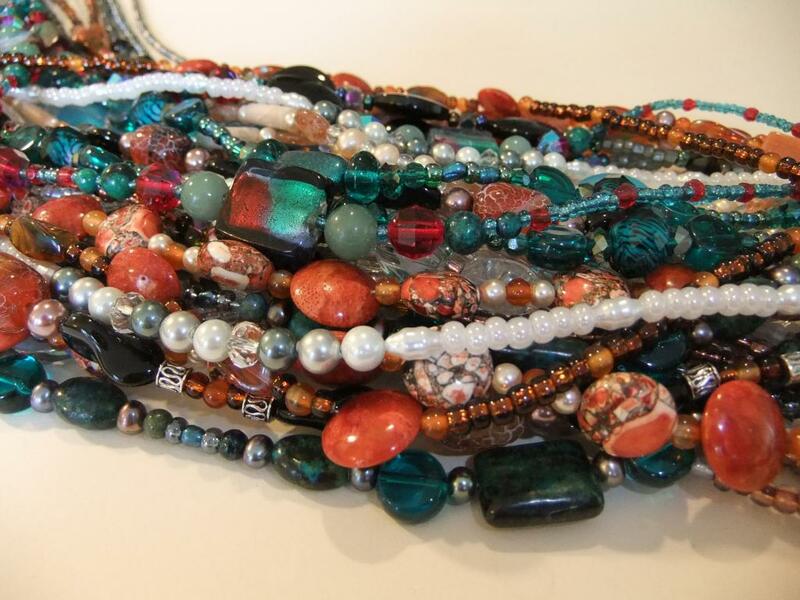 Our Lanyards each feature beautifully crafted one-of-a-kind designs using glass beads, European Crystals, Semi-precious stones or freshwater pearls. Our lanyards are functional and fashionable and are perfect for Nurses, teachers, flight attendants, office workers and health care professionals. The hook provided is multi-purposed and can be used for USB flash drives, pens, keys, ID cards, conference tags, parking cards... your imagination is the limit. Our lanyards are a wondeful accesory to your wardrobe and make fabulous gifts for special people in your life. Lanyards are made in a standard 19" length but can be made longer or shorter if you require. Each lanyard features a magnetic quick-release clasp for safety and to protect from breaking by getting caught on objects. Necklines are made using smaller beads to provide comfort. All Lanyards are strung on multi-strand stainless steel wire. We do not use any plastic and do not import any finished products. The following pages display samples of our work. Most lanyards cannot be duplictaed due to the availability of beads. Please contact us to see if we have the Lanyard you desire. By providing us with specific details, we will strive to provide you with your desired look when you place your order. All lanyards come to you in a pretty pink drawstring bag. It is suitable for gift giving or may be placed in your purse to store your lanyard & prevent it from getting caught in other belongings. Please use the tabs on the left pane to view our variety of Lanyards. Petite Lanyards are a more subtle design that add colour to your wardrobe with functional jewelry. Invisible Lanyards are made with clear or very soft coloured crystals, stones and glass. Fun & Funky Lanyards are a dramatic style with sparkle and elegance.